A Simple Jew: "I Needed To Stop Learning Just For The Sake Of Finishing My Daily Sedarim"
"I Needed To Stop Learning Just For The Sake Of Finishing My Daily Sedarim"
All a book contains are letters, there is no inherent wisdom in the letters, they're just letters. Yet, when you read the letters and attempt to connect to Hashem's chochma, then Hashem fills the letters with His chochma and you find meaning. If you are just reading the letters, then perhaps what's missing is Hashem's chochma. Since I was young, for some reason, it was always clear to me that learning Torah is more about connecting to Hashem than it is learning anything from the sefer in front of you. I don't know who taught me that. Think of it this way: Sometimes you want to spend time with your son (or someone else who is important to you) the activity is secondary and is merely a means to the end of spending quality time with that special someone. So, if you approach Torah learning as "I want to spend quality time with Hashem" and the sefer is just the medium, it comes alive in a whole different way. The question of whether the point of learning Torah is to learn the Torah itself or to connect to Hashem is a very old debate. See R'Chaim Volozhioner's long comment on the topic at the beginning of his commentary (Ruach Chaim) on the 6th perek of Avos, where he argues that as opposed to all other mitzvos where the point is deveikus ba-Hashem, with Torah the point is for the Torah itself. 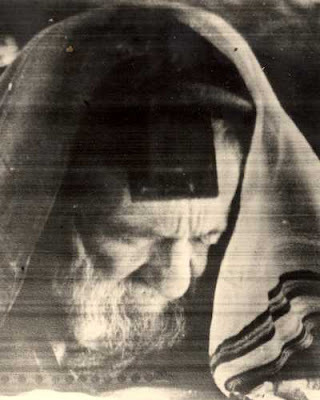 Ayein sham (R'Chaim bases himself in large part based on the comment of the Rosh). I know that this idea is at odds with much of the thought in chasidus but the point is dispute.